The worst peacetime tragedy suffered by the AFM (Armed Forces of Malta) occurred on September 7, 1984. An explosion onboard the Swift-class patrol boat C23 (later ne-named P23) killed seven people. 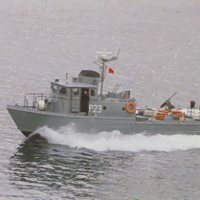 P23 remained in service until 2010 and the AFM retained the patrol boat as a memorial. A monument was built at Xatt it-Tiben soon after the tragedy, and a new one was unveiled in 2009 on the 25th anniversary. The Maritime Museum of San Diego has another memorial to those killed in the tragedy near P23's (PCF 813) sister ship P24 (PCF 816) which is preserved in the museum. "You gotta go out and face it...you gotta learn to conquer your fears....and get back out on the sea....a wise sailor learns to respect the sea..."